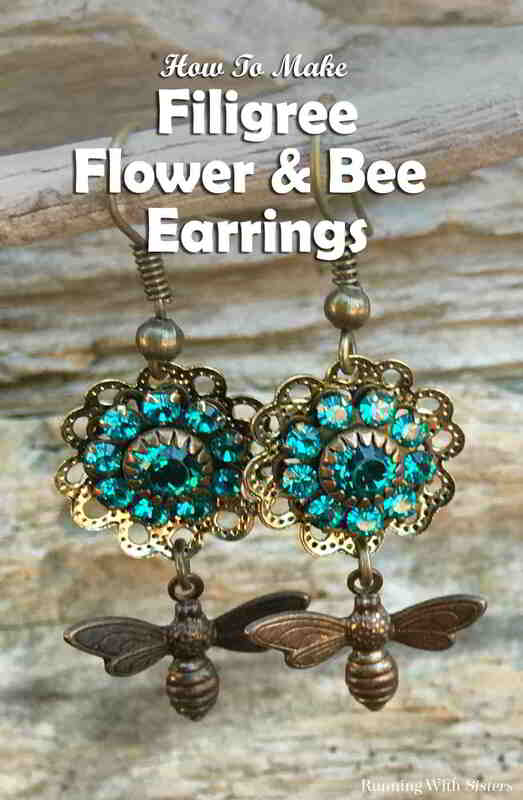 Make these Easy Flower And Bee Earrings. We’ll show you how to glitz up the filigree flower with a rhinestone rosette and how to hang the bee charm. 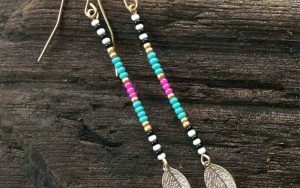 These Easy Flower And Bee Earrings are so pretty. And you can make them in minutes. 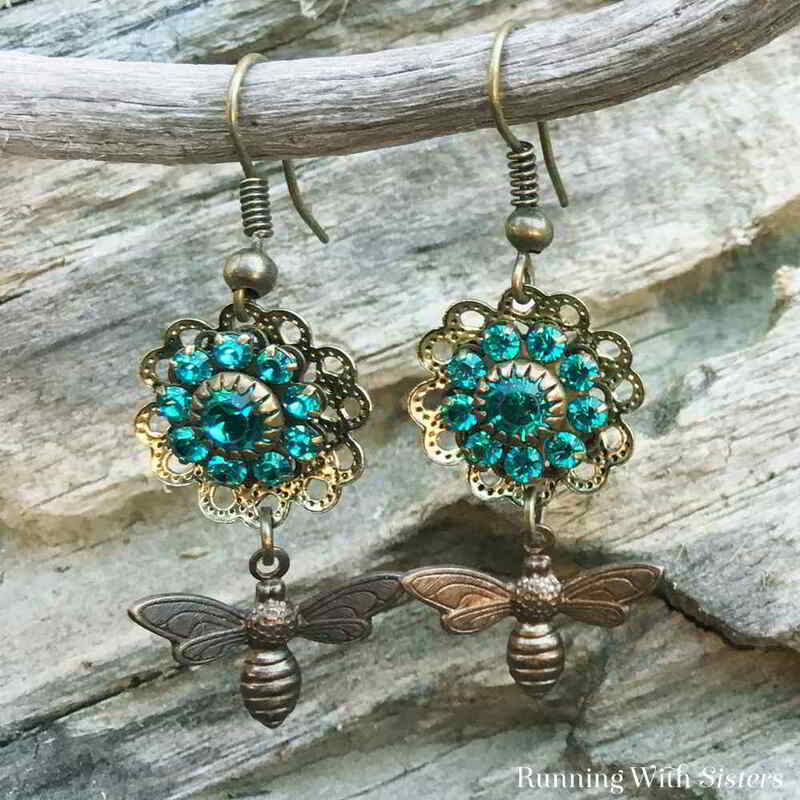 We’ll show you how to glitz up the filigree flower with a rhinestone rosette and how to hang the bee charm. We have a complete how to video for you to follow. Plus we have step by step instructions. 1. 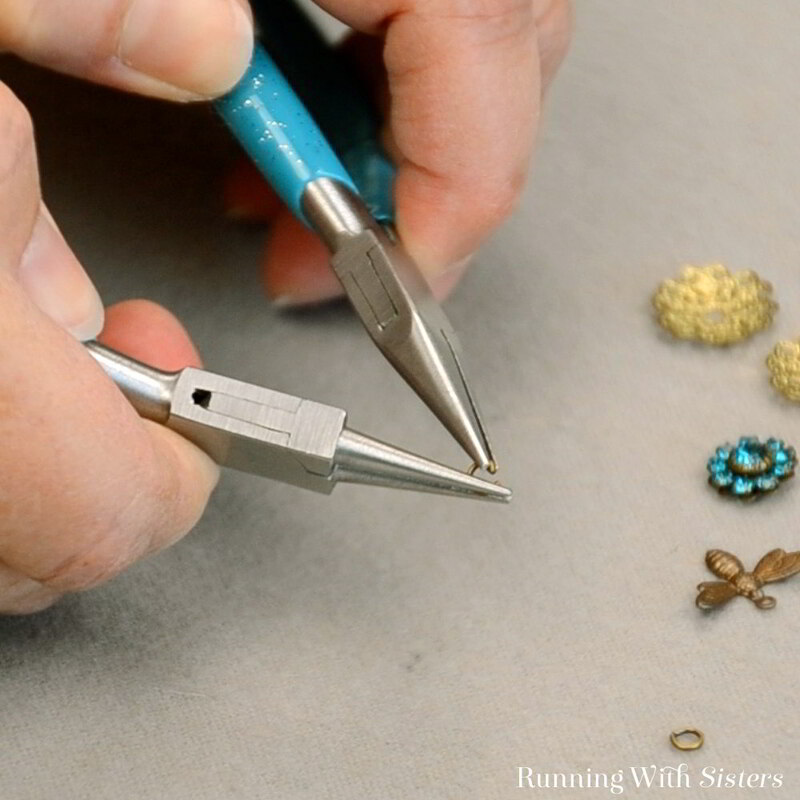 To make these filigree charm earrings, start by opening a jump ring. To do this, hold the jump ring with the round-nose pliers and use the chain-nose pliers to slide the jump ring open. We like to use this technique so the jump ring stays nice and round. 2. Keep holding onto the jump ring with the pliers and slide a bee charm onto the jump ring. 3. Then feed a filigree flower onto the jump ring. 4. Use the pliers to close the jump ring. 5. 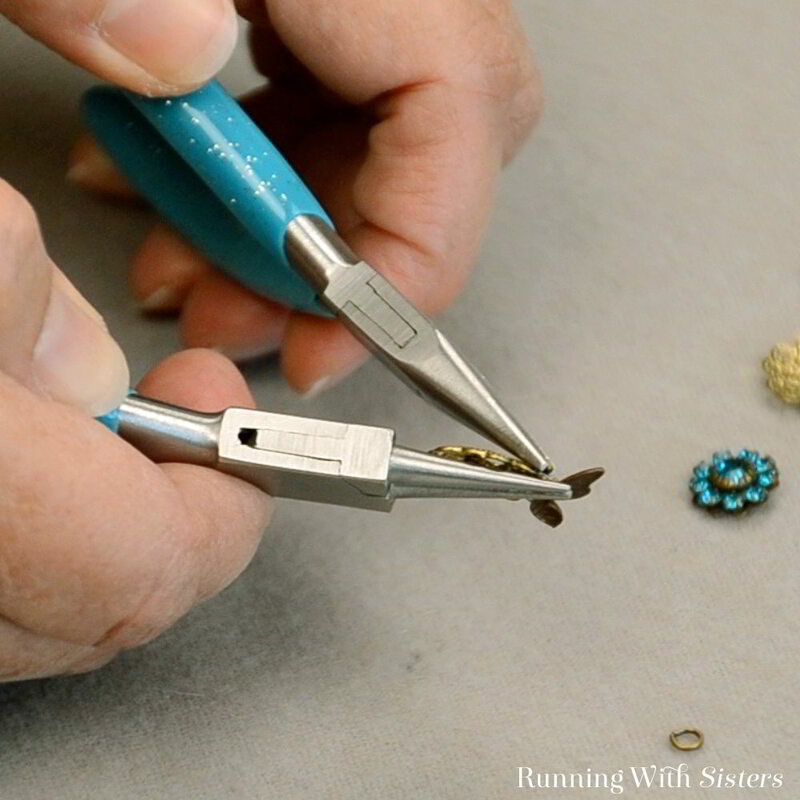 Next, use the pliers to open the loop on one of the earring wires. 6. 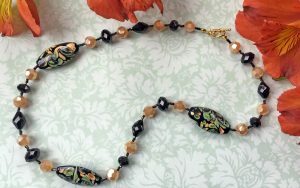 Feed the opposite side of the filigree flower onto the earring wire. 7. 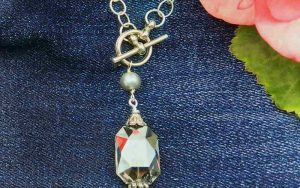 Close the earring wire loop using the chain-nose pliers. 8. Repeat steps 1 thru 7 to assemble the second earring. 9. Glitz up the filigree flower by applying a little E6000 glue to the back of the rhinestone rosette. We like to squeeze a dollop of glue onto an index card and then use a toothpick to apply a small amount of glue to the back of the rosette. 10. Press the rosette into the center of the filigree flower. 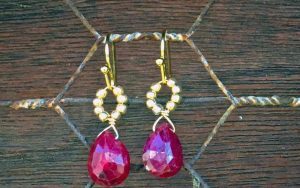 Repeat to add the second rosette to the second earring. Let dry. 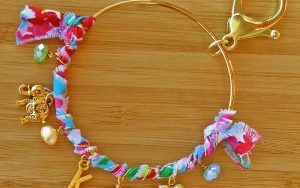 We love the look of these vintage style charms! Aren’t they pretty?